Hudy wouldn’t stop pleasing the RC car community with dedicated parts and assembly trays, with the latest release targeting the 1/10th off-road market. 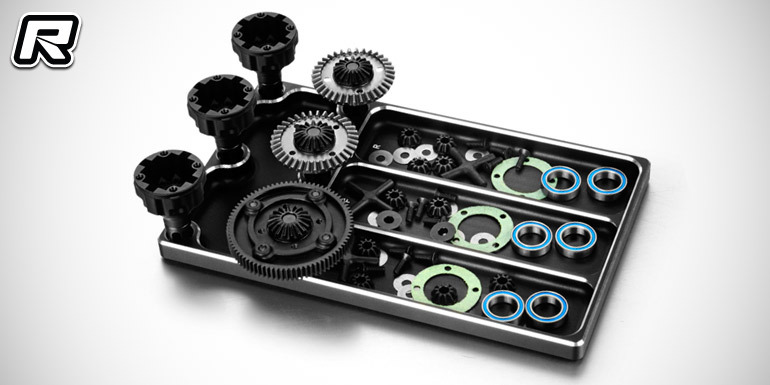 Machined from high-quality aluminium the parts tray offers four compartments and six machined openings to hold differentials during building, setup and maintenance, ensuring no parts are getting mixed or diff cases are tumbling all over the place. The three main compartments are individually marked, allowing to wrench on up to three diffs simultaneously.